New Delhi: Expressing confidence that the NDA government would once again come to power in 2019, Prime Minister Narendra Modi said on Sunday that the NDA regime has fulfilled the “basic necessities”, which were left unfulfilled for 70 years by the Congress-led UPA. Minutes after the Election Commission announced the dates for the 2019 General Elections, Mr Modi, expressing confidence of victory for BJP in the 2019 Lok Sabha polls, said now the 130 crore Indians would vote for creating a strong, prosperous and secure India. “Guided by ‘Sabka Saath, Sabka Vikas’, NDA seeks your blessings again. We spent the last five years fulfilling basic necessities that were left unfulfilled for 70 long years. Now, time has come to build on that and create a strong, prosperous & secure India,” Mr Modi said in a series of tweets. He said in 2014, the people had rejected the UPA regime as they were angry due to its corruption, nepotism and policy paralysis. They voted for the NDA because they wanted to get rid of such “decay and pessimism”. “Today: 50 crore Indians have access to good quality and free healthcare. 42 crore people of unorganised sector have access to old-age pension. 12 crore farmer households get yearly monetary support of Rs. 6000. Crores of middle class families are exempt from income tax,”the PM said. The Prime Minister said the country is proud that 2.5 crore families have electricity for the first time, 7 crore households have smoke-free kitchens, 1.5 crore Indians got their own homes. ‘These, and many other instances show that with the right approach and futuristic policies, nothing is impossible. 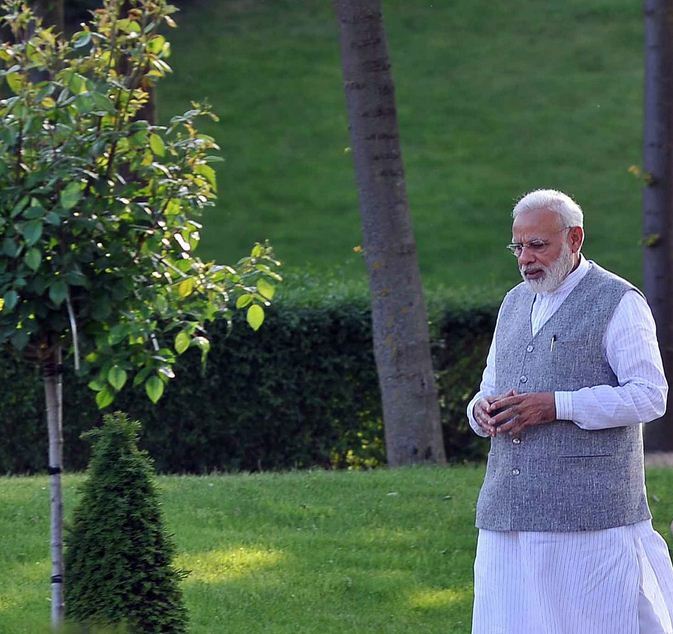 The past five years have shown that with the blessings and participation of 130 crore Indians, what was earlier deemed impossible has now become possible,’ he said, adding that the 2019 polls are about a spirit of confidence and positivity with which India is fulfilling the aspirations of its people. He also wished political parties and candidates all the very best and said though they belong to different parties, their aim must be the same — the development of India and empowerment of every Indian! Modi wished the Election Commission all the best and said, “The festival of democracy, Elections are here. I urge my fellow Indians to enrich the 2019 Lok Sabha elections with their active participation. I hope this election witnesses a historic turnout. I particularly call upon first time voters to vote in record numbers. “Best wishes to the Election Commission, all those officials and security personnel who will be on the field, across the length and breadth of India assuring smooth elections. India is very proud of the EC for assiduously organising elections for several years,”the PM said.